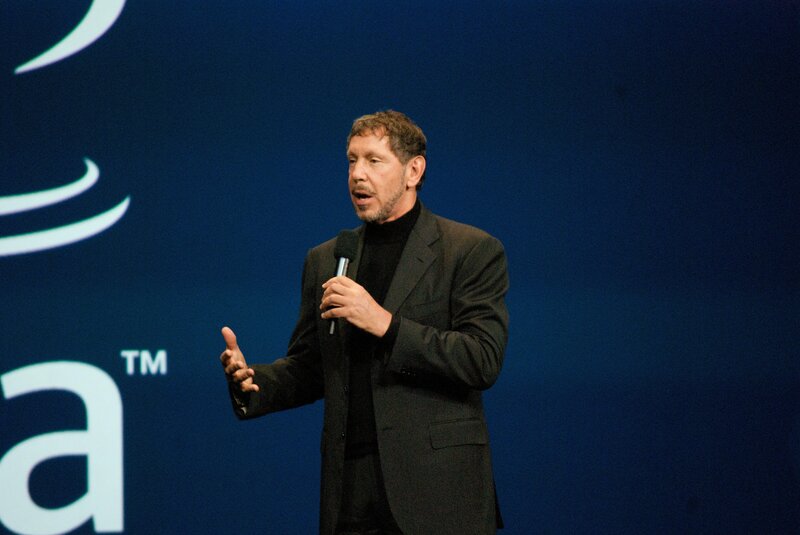 Oracle CTO Larry Ellison highlighted Oracle’s commitment to the cloud by announcing a range of cloud-based products and updates at its Oracle OpenWorld 2014 user conference. By adding these services to its cloud stack, Oracle hopes to continue to gain market share, despite being seen as late to the game by some industry experts. Ellison (pictured) said the Oracle cloud platform had been “much updated” with a “complete set of platform services”. “The foundation of the platform is the Oracle database,” he added. One feature it has added is the ability to move applications and databases in and out of the cloud at the “push of a button”. “You can move anything from on-premise to the cloud, and the fascinating thing is you can move it back. We’re the only supplier that gives you that choice,” said Ellison. This special report from Computer Weekly offers an independent view of the challenges facing Oracle, its financial performance, the services it offers, its place in the IT market and its future strategy. He said the ability to switch meant customers would not be locked in as it gives them the flexibility to choose where to store their data. The cloud platform update also includes additional functions for big data analytics, integration and process management, as well as the Java platform. Taking to the stage in his first keynote since resigning from his role as chief executive after 35 years, Ellison used the time to position Oracle’s importance in the cloud market and make fun of competitors. This week, 60,000 people are descending on San Francisco to hear Oracle’s latest news, which most certainly revolves around the cloud. During Monday’s keynote, Oracle's replacement CEO, Mark Hurd, said the cloud is exploding in front of our eyes, while consumers are becoming more sophisticated. He said IT organisations need to change how they work to enable employees and customers. “They will want to work the way they want to work, and buy the way they want to buy,” he said. But the challenge for CEOs and IT departments is their budgets are stagnant or, in some cases, going down, he added. In September, Oracle announced a 5.5% increase in cloud revenues during its first quarter (2014-15). Cloud revenue from software as a service (SaaS) and platform as a service (PaaS) increased by 32% to $337m, while cloud revenue from infrastructure as a service (IaaS) rose by 26% to $138m.